actors are celebrities, their life is carefully watched by admirers. In Korea, the TV series (they are called dramas) are very popular, so the best Korean actor become the most famous people in the country. Each year, removed a large number of Korean TV series, which are involved and a great cast. The love of the audience to heroes of beautiful and romantic TV series passes, naturally, and to those who have embodied them on the shooting stage. It should be noted that for shootings directors select handsome men or young men, so the best Korean actors have a lot of fans. Soaps with their participation are aimed at creating a beautiful tale of love, separation or marriage, and external data of the chief performers of roles are of great importance. Korean actors may not have the physical strength, the Apollo figure, but they have something as lacking in European or Hollywood actors. They are gentle and sensual, do not hide their suffering and even tears. Looking at the heroes of Korean TV series, the girls begin to believe in the romantic prince with a fine mind and beautiful eyes. Genres of movies in which beautiful Korean actors act aren't limited only to love or family stories. There are movies about criminals and honest police officers, there is even a horror as a very popular genre in Korea. And the Korean actors perfectly cope with such versatile tasks, getting with each role of new admirers. In the Korean TV series the audience can see various stories: about love, about the family relations, about fidelity. Action happens in the native land, pictures of city or rural landscapes are relatives and acquaintances. Therefore, it is so easy for audience to be transferred to those circumstances which are offered by TV series, it is easy to feel like a part of history. And the best Korean actors are very close to them, they are similar to friends, to neighbors, to fellow students or colleagues. Each of the audience finds something interesting in dramas for himself. It explains the reason of popularity of the Korean TV series on their homeland. But gradually the Korean TV series are gaining attention of the audience, not only Asia, but also the European region. And Korean actors are recognizable and abroad. They differ from actors of Hollywood in the appearance, romanticism, restraint in behavior. The handsome from Korea creates an image of the man who isn't hesitating of the feelings sincere and open. Worldwide known for the beauty of Korean men. This stylish, tall, athletic guys with a mysterious look. The Top 25 Most handsome Korean actors included famous and popular actors, singers and models from South Korea. There are many actors from this list starred in world famous Korean dramas. 25. Park Shi Hoo (April 3, 1978) - South Korean actor. He began his entertainment career as an underwear model and stage actor, then made his official television debut in 2005. After several years in supporting roles, Park rose to fame in 2010 with the popular romantic comedy series Queen of Reversals and Prosecutor Princess. This was followed by leading roles in period drama The Princess' Man (2011) and thriller film Confession of Murder (2012). In 2013, Park's career was rocked by allegations of sexual assault, but the charges were later dropped. 24. 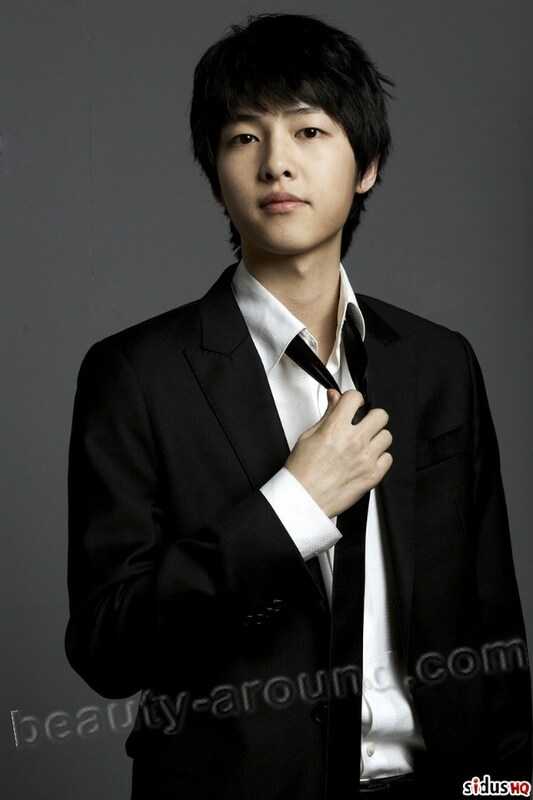 Song Joong Ki (September 19, 1985) - South Korean actor. He is actor Lee Kwang Soo 's bestfriend and rose to fame with period drama Sungkyunkwan Scandal and variety show Running Man. Song played his first TV leading role in the melodrama The Innocent Man in 2012. He has also starred in feature films, most notably as the titular character in the box office hit A Werewolf Boy. 23. Kang Dong Won (18 January 1981) - South Korean actor. 22. Gong Yoo (July 10, 1979) - South Korean actor. 21. 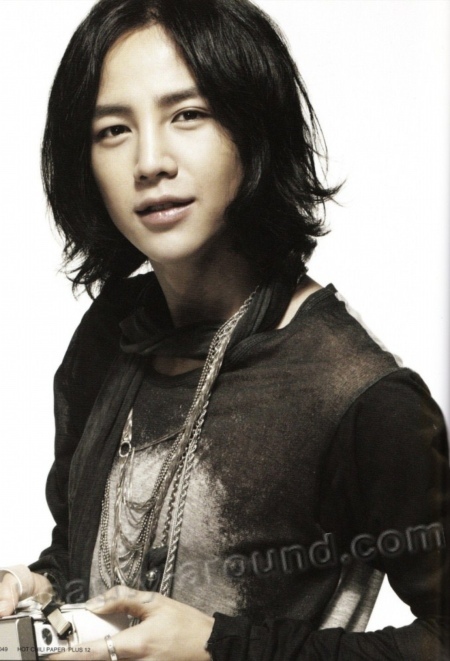 Jang Geun Suk (September 26, 1987 in Danyang County, Chungcheongbuk-do, South Korea) is a South Korean actor, singer and model. He is best known for playing the role of band leader Hwang Tae Kyung in the 2009 drama You're Beautiful, with Lee Hongki, Jung Yong Hwa, Park Shin-hyeand Uee, as well as the role of Kang Mu Gyul in the 2010 romantic comedy series Mary Stayed Out All Night, with Moon Geun Young and as Seo In Ha/Seo Joon in 2012 Love Rain with Yoona of Girls' Generation. 20. 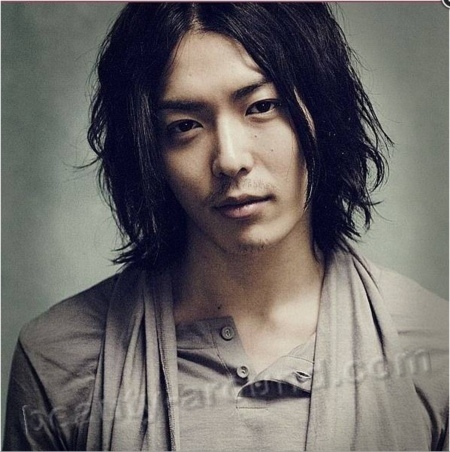 Kim Jae Wook (2 April 1983) - South Korean model and actor. 19. 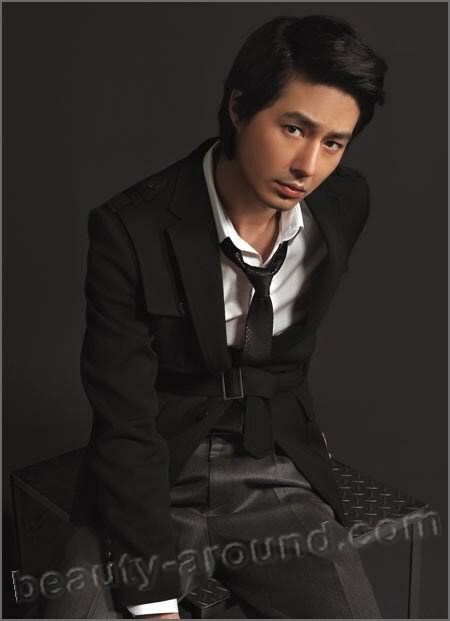 Jo In Sung (July 28, 1981) - South Korean actor. He is best known for his leading roles in TV series What Happened in Bali (2004), and That Winter, The Wind Blows (2013), and in the films A Dirty Carnival (2006), A Frozen Flower (2008). 18. 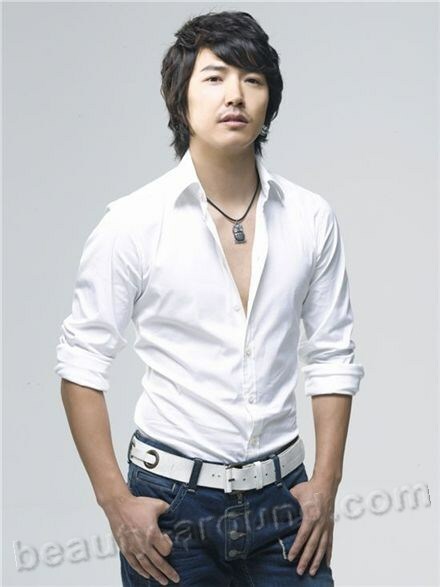 Yoon Sang Hyun (September 21, 1973) - South Korean actor and singer. He is best known for his roles in Queen of Housewives (2009), My Fair Lady (2009), Secret Garden (2011) and I Can Hear Your Voice (2013). 17. So Ji Sub (November 4, 1977) - South Korean actor. After making his entertainment debut as a jeans model, he became best known for his leading roles in the television series I'm Sorry, I Love You, Cain and Abel, Phantom and Master's Sun, as well as the film Rough Cut. So has also released several hip-hop EPs. 16. Cha Seung Won (June 7, 1970) - South Korean actor. He began his career as an in-demand fashion model in the 1990s, before embarking on an acting career. 15. Jung Woo Sung (March 20, 1973) - South Korean actor. 14. Joo Jin-mo (Park Jin-tae on August 11, 1974) - South Korean actor. 13. Kim Soo Hyun (February 16, 1988) - South Korean actor, best known for his roles in the television dramas Dream High, Moon Embracing the Sun, and My Love from the Star, as well as the movies The Thieves and Secretly, Greatly. 12. 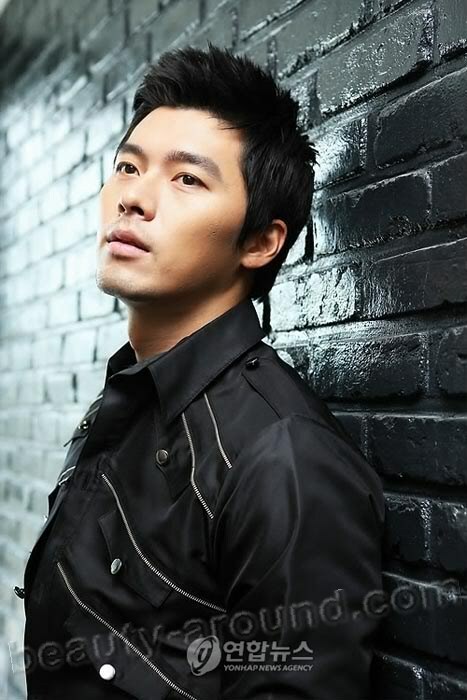 Hyun Bin (Kim Tae Pyung on September 25, 1982) - South Korean actor. He is best known for his leading roles in the TV dramas My Name is Kim Sam-soon in 2005, and Secret Garden in 2010. 11. Jang Dong Gun (March 7, 1972) - South Korean actor. He is best known for his leading roles in the films Friend (2001) and Taegukgi: The Brotherhood of War (2004). 10. Ricky Lee Neely/ Ricky Kim (June 19, 1981) - American model and actor. Was born to a Korean mother and an American father. 9. Choi Si Won (April 7, 1986, officially registered on February 10, 1987), known simply as Siwon is a South Korean recording artist, actor, and model. He is best known as a member of the K-pop boy band Super Junior and its Mandopop subgroup, Super Junior-M. He is one of the first four South Korean artists to appear on Chinese postage stamps. He is also the first Korean celebrity to surpass 3 million followers on twitter. In 2014 he was ranked at №7 on 100 Most Handsome Faces of 2013. 8. Lee Min Ho (June 22, 1987) - South Korean actor, singer and model. He is best known for his leading roles in Boys Over Flowers (2009), City Hunter (2011) and The Heirs (2013). Upcoming 1970s set movie Gangnam Blues will be the Lee's first lead role in the big screen. 7. O Ji-ho (April 14, 1976) - South Korean actor. He is best known for his roles in the television series Couple or Trouble, Single Dad in Love, and The Slave Hunters. He also starred in the films My Wife is a Gangster 3, Sector 7, and The Grand Heist. 6. 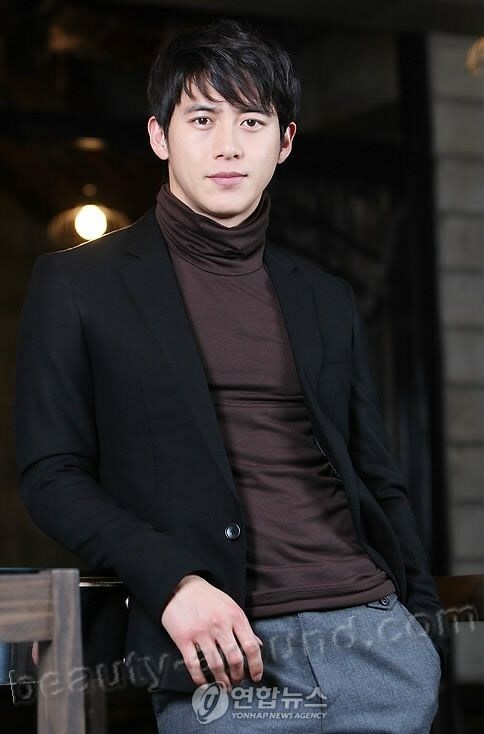 Go Soo (October 4, 1978) - South Korean actor. He has appeared in television series such as Piano, Green Rose and Will It Snow For Christmas?, as well as the films Some, White Night, Haunters, The Front Line, and Love 911. 5. Kim Bum (October 5, 1976) - South Korean actor. Song is noted for his roles in Korean dramas such as Autumn in My Heart, Summer Scent, and East of Eden. 4. Song Seung Hun (October 5, 1976) - South Korean actor. Song is noted for his roles in Korean dramas such as Autumn in My Heart, Summer Scent, and East of Eden. 2. 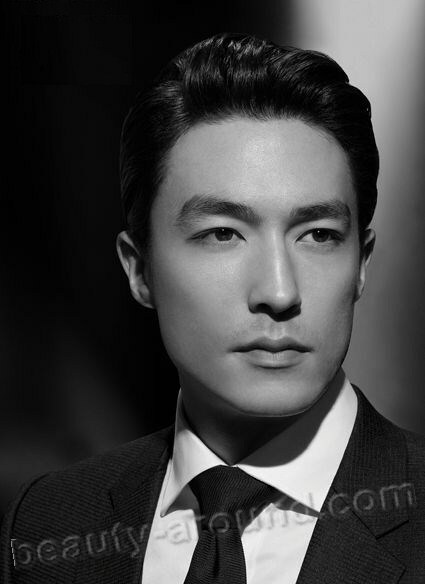 Daniel Henney (November 28, 1979) - American actor and model, known for starring in films such as Seducing Mr. Perfect (2006), My Father (2007), X-Men Origins: Wolverine (2009), Shanghai Calling (2012) and The Last Stand (2013). 1. Dennis Oh (August 29, 1981 Georgia, United States) - actor and model in South Korea. He was born to a Korean mother and a former American GI father.